Be the first to share your favorite memory, photo or story of Abraham. This memorial page is dedicated for family, friends and future generations to celebrate the life of their loved one. DURHAM: Abraham Choi, 83, passed away on Wednesday, January 23, 2019 at Duke University Hospital. He was born in South Korea, the son of the late Jong-Whan Choi and Kap-Myung Sohn. Mr. Choi was a recent member of Triangle Grace Korean Church. He formerly served as an elder and use to sing in the choir. He loved classical music, gardening, hunting and spending time with his family and friends. 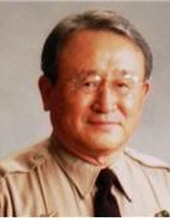 Mr. Choi was a retired Sheriff’s Deputy from Salt Lake County, Utah. He use to serve the Korean community in Salt Lake City, Utah as a volunteer for helping with social services. Mr. Choi is survived by his wife of 57 years, Sarah Jingsook Choi; daughters, Anna Seounghee Suh, Susan Choi; and sons, John Seokmoon Choi, David Seokho Choi. A memorial service will be held at 11 a.m. on Monday, January 28th at Triangle Grace Korean Church: 5001 Tudor Place, Durham, NC 27713, with Rev. Helder Suh officiating. To send flowers or a remembrance gift to the family of Abraham Choi, please visit our Tribute Store. "Email Address" would like to share the life celebration of Abraham Choi. Click on the "link" to go to share a favorite memory or leave a condolence message for the family.